The right one can even double as a student desk, which is great for the college student’s dorm! If you don’t have a good source of natural light, which is the best for putting on makeup, you’re going to need a light source for your vanity. You can use a lamp or portable lighted mirror, but I recommend purchasing something more “all-in-one” like a vanity table with mirror and lights; It’s more likely you’re going to get a bigger mirror and more light. Something like this lighted vanity desk at the left is ideal. For one thing, it’s lovely. It also has a large, sectioned mirror with lights on the left and right of the middle mirror, top to bottom. Additionally, I like the ample amount of storage space that’s included. You don’t see just one large drawer with a couple of smaller drawers – there are 11 drawers that will hold cosmetics, beauty products, hair styling tools, pens, notepads, toiletries, and anything else you need to have on hand when you’re getting ready for the day. 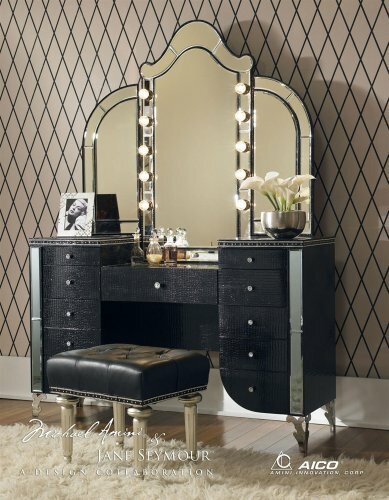 A black makeup vanity table is a striking addition for your bedroom or bathroom. A black dressing table is complemented by bold contrast but I also like the way it complements jewel tones. Grays, navy, red, white, and rich autumn shades also work well with this style. White makeup vanity tables are essential if you have light, airy, or shabby chic-style decor. In fact, these white vanity table sets will complete the country cottage look beautifully! 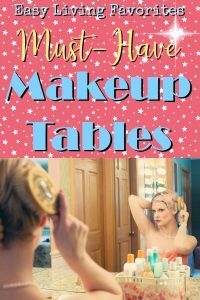 Makeup Table with Drawers – Not a Luxury! A makeup table with drawers is a lifesaver for busy women who like having their go-to beauty items all in one place. Somewhere you can not only access your supplies but also take a moment to sit down and put them on! It’s not a luxury (no matter what anyone tells you!) It’s a must-have. The great thing about the vanities and dressing tables I’ve found for you is that they’re not giant pieces that will take up a lot of space in your bedroom or bathroom. These are also great in guest rooms! 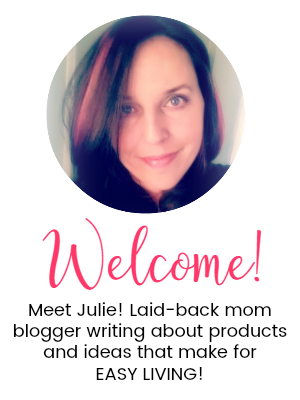 You want your guests to be as comfortable as possible and it’s really nice for us women when we can unpack our toiletries and have them all in one place. Then, when it’s time to leave, we know where to go to pack it all up. If you’ve decided on purchasing a makeup vanity table with lighted mirror, you have some options. You could go with a dressing vanity that includes a mirror and lights, like the old Hollywood-style lighted vanity at left. Or you could choose a vanity table – with or without a mirror – and add the lights in. If you need your dressing table to function as a student desk or writing table, you might find a small writing desk you like and sort of “update” it to function as a vanity. I have a small, white student desk in my room that sometimes does double-duty as a reading space or homework spot, where my son likes to work on school assignments. I could not agree more. I bought a little mirror at good will and am using a nice desk for my vanity table. I love it!